I’m so excited to announce the upcoming release of my novel Master of Time (Chronicles of the Half-Emrys #3). The BIG NEWS is I am donating all of March's pre-order profits and the entire month of April’s royalties to Help Jill Overcome SMA! This includes all my novels on Amazon, Createspace, and Kindle. Book 3 officially releases on March 31st! For online shoppers: Books one and two are currently available on Amazon. Order during April so the royalties go to the fundraiser. Book 3 is available for pre-order. Order now to get yours on March 31st and support Jill! You might not be sold on paranormal romantic fantasy. But surely a young lady in your life is. 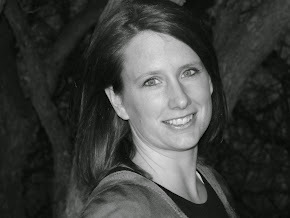 This is a new adult paranormal romantic fantasy. New adult means the main characters are ages 18–25. In my case, the immortals in my novel act these ages. Book 1 is Reader Rated (RR) 14+ for clean language, mild fantasy violence, on-page tender moments. Book 2 is RR-15+ for clean language, mild fantasy violence and torture, off page sexual intimacy, but on-page tender moments. Book 3 is RR-16+ for mild fantasy swearing, mild fantasy violence and torture, off page sexual intimacy, but on-page tender moments. Enough about my novels. I am busting at the seams over this opportunity to make a difference in a lovely little girl’s life. A few years ago, Jillian MacKay was diagnosed with Spinal Muscular Atrophy, type III. SMA is a genetic condition that slowly causes her muscles to fail. Her parents were shocked—at 18 months her only symptom was that she walked around their Victorian farmhouse bowlegged, but the doctors soon found the root cause was SMA. SMA is degenerative, which means that over time Jill will gradually rely on her wheelchair and lose the ability to walk altogether. Jill craves independence. 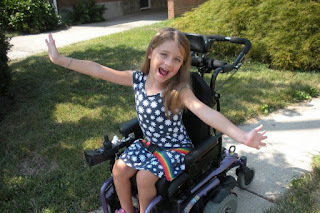 She wants to be able to take her wheelchair to her doctors’ appointments, to shop, and to visit with friends and family. She wants to shower on her own. To do this she needs the right equipment, such as an accessible shower and bathroom, and a van capable of transporting her heavy wheelchair. Her mom stays home with Jill, takes her to doctors’, physical, and occupational therapy appointments, and also looks after Jill’s little sister. Jill used to love ballet and gymnastics but is having trouble participating. Luckily she also loves reading, coloring, and painting at home, as well as cheering on her little sister’s accomplishments. Jill is a brilliant girl. She’s smart and motivated. All she wants are very basic things that we all take for granted—the ability to shower on her own, get around her school, hang out with friends on the playground, and be dropped off and picked up by her mom in the van. The family needs funds to purchase a gently used wheelchair-accessible van. The house also needs updates to accommodate Jill’s wheelchair. The family was able to move into a one level house that is much more wheelchair friendly, but it still needs upgrades to the bathrooms and other places. Please help make this childhood one of fun, friendship, and joy—as childhood should be! 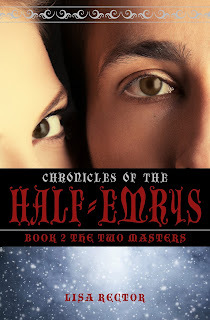 Unaware of her immortal heritage, Ahnalyn learns she’s a child of two worlds—a half-Emrys with the ability to wield the light and the dark power. 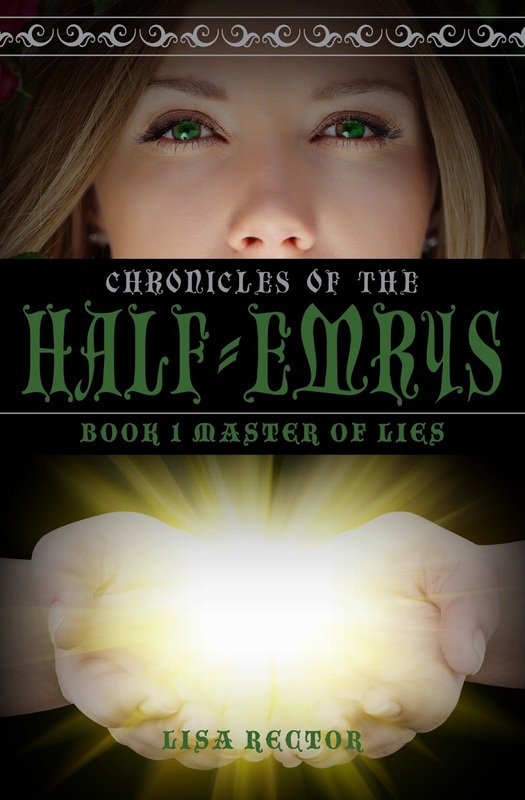 As Ahnalyn is thrown on a journey beyond her control, she must sift through the lies to uncover her true self and true potential, before the darkness consumes her. 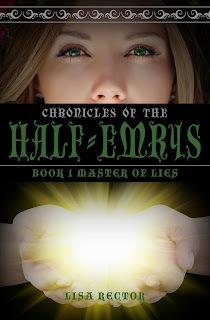 Master of Lies is the first book in the Chronicles of the Half-Emrys, a paranormal romantic fantasy. The Two Masters is the second book in the Chronicles of the Half-Emrys, a paranormal romantic fantasy. 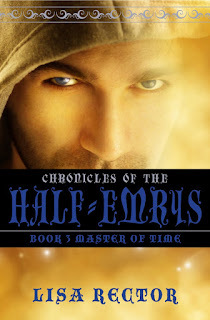 Master of Time is the third book in the Chronicles of the Half-Emrys, a paranormal romantic fantasy.